In 2001 the world was introduced to what would become one of the most influential games and franchises in the industry. Halo Combat Evolved instantly was recognized as the definition of what console first person shooters could be. Beautiful graphics, intense sci-fi story, groundbreaking couch and lan-party co-op, and the best controls the genre had ever seen. Three years later Halo 2 took everything that made the original special and multiplied it by a thousand. The story revved up, the graphics were arguably the most impressive of the time, and the controls were better than ever. Most importantly however, the multiplayer exploded the collective minds of the gaming world—and to this day is one of the most memorable and powerful online multiplayer experiences the medium has ever seen. In 2007 the hype machine was at an all time high for Halo 3. And while the game may not have quite lived up to that hype, it’s probably more based on how ridiculously and unreasonably high the expectations were, because the game itself was nearly flawless. Halo 3 was the first HD Halo game, it launched on the Xbox 360 and was the must own game for any owner of the console. The biggest competition for Halo 3 was how perfect Halo 2 was in the eyes of the fans; and the new franchise that would overtake Halo as the biggest online FPS in the industry itself for next decade, Call of Duty. For the next few years the Halo franchise seemed to be trying to find itself. There were a few spinoffs here and there like a failed RTS and a lackluster top down shooter for tablets. There was also a pseudo-sequel to Halo 3 called ODST that was a solid game filled with controversy. Bungie was the developer for this incredible franchise for every major adaptation on the consoles, and they tried to have a nice going out party called Halo Reach. But overall the fans’ reactions were quite negative. Bungie left Microsoft and 343 Studios took over and created Halo 4. Underwhelming and seemingly unfocused, Halo 4 was not the inaugural 343 party that was hoped for. But before that even, 343 worked on the Halo Combat Evolved Anniversary Edition in 2011. This was the tenth year anniversary of the game that started it all. All of this Halo history is to prepare for one of the biggest remake bundles the gaming universe has ever seen; Halo: Master Chief Collection. 343 promises that Halo 1-4(all the Halo games starring the Chief himself) will be smashed together in one uber game with all the features from the originals plus some added features they didn’t have at first. Along with each game in its original form, Halo 3 and 4 have been up-ressed to 1080p and 60fps. Halo Anniversary is packed in and also has its multiplayer going online for the first time ever on a console. And Halo 2 gets the same treatment the original Halo got three years ago with it finally going HD, its multiplayer coming back online, and added features like brand new beautiful remade cut scenes. With four full campaigns, four full multiplayer games built into one, and endless hour of fun and nostalgia from one of gaming’s biggest franchises, 343 seems to have the perfect formula for a massive success for everyone and a perfect filler to play as the world waits for Halo 5. Oh, and speaking of which the Halo 5 Beta is packed in and will be available soon. Here are the big questions; does the entire Halo experience still hold up today or do aspects seem outdated? And if it does still hold up, can 343 possibly hold up their bargain and give us everything they promised? If you go back and play classic 2D games from the NES and SNES type era, most of the games truly still hold up. You’re still going to have a whole lot of fun playing anything from Yoshi’s Island to Tecmo Super Bowl to Earth Bound and everything in-between. Of course some games are truly dated and almost unplayable now, but the majority of those 2D gems are still great fun to play today. This sadly is not the case with 3D games. The N64/Playstation era had so many amazing games, some are still fun today but a lot of them just can’t hold up compared to the gameplay in current games. The same can even be said for some games from the Xbox/PS2/Gamecube era. Although nowhere near as flawed as the N64/Playstation era, there are still games that we thought, “HOLY CRAP THIS GAME IS AMAZING!” but if we play it today the controls, camera, etc just fall flat. I thoroughly loved Halo Combat Evolved and its campaign when I first played it on a friend’s Xbox and again on the PC two years later. Today it sadly just isn’t the same. I could go back and play Super Metroid or Super Mario World a million times and never stop loving it. But Halo Combat Evolved just isn’t that kind of game. Compared to the advancements in the genre the controls feel slow and the levels are drawn out for much longer than they should be. It always felt like my next objective was the same as the last. Walk over there, press a button, clear out bad guys, walk over there, go to that thing, kill the guys in the way, etc, etc, etc… The health system was changed in the newer Halo games for the better. It’s hard for me to enjoy a game when I just fought my way through a massive horde of covenant bad guys and barely survived with ONE sliver of health left; only to get a checkpoint and have an even BIGGER gang waiting for me and now I’m out of health and low on ammo. The original Halo may be one of the more influential games of the past two decades but playing it now feels like eating a delicious bowl of Lucky Charms….that’s been sitting on the table soaking in milk all afternoon; used to be amazing, now it’s just gross. Halo 4’s campaign is dull, repetitive, and does very little to advance on what Halo 2 and 3 had to offer. The gameplay is fine, it’s just that there isn’t enough new. The story focuses on the Master Chief and Cortana’s relationship; this is a smart decision and is the strength of the game. But the rest of the story seems pointless. The Flood are gone but a new species called Prometheans are involved instead. They are uninteresting. Both the covenant and the brutes, the main enemies you face in the original trilogy, are full of life, personality, and even humor. Prometheans kind of just exist for the sake of existing. And in an attempt to create a major villain for the Master Chief to face instead of facing a species alone, 343 created Ur-Didact, a forerunner and commander for the Promethean military. I understand what 343 was going for; they wanted their own Bowser, Ganandorf, Joker, GlaDOS. But instead they just overcomplicated an already fairly complex story and added a villain that has already been placed on the backburner, as Halo 5’s villain has been revealed to be a brand new character. When it comes down to it, Halo’s multiplayer has been the biggest draw to fans and the most significant factor to its success. Halo 1-3 at the time of their respective releases had some of the best, deepest, and just plain fun multiplayer gameplay the fps genre had to offer. Halo 1-4’s multiplayer is all back, every single map, all in its original form but in HD beauty. Halo 2, being the favorite Halo child, even has some maps completely remade with new textures and lighting to look absolutely stunning, as opposed to just upping the resolution. So how do these great MP experiences hold up today? Sadly, as much fun as they were when we first played them, they just aren’t what they used to be. Let’s start with Halo Combat Evolved. This game is now thirteen years old and boy oh boy does it show. Not only in the graphics but also in the gameplay. It’s clunky, confusing, and beyond hectic. It’s hard to tell what’s going on. Did I hit that guy? Is he dead? How’d I die? It’s fun to jump in for old time’s sake for just a few rounds, but other than that it has almost no replay value and is more annoying and confusing than any kind of fun. The original Halo’s mp just doesn’t feel good at all. And thankfully the series made massive improvements going forward because Halo CE is as barebones as it gets and not at all in the good way. It used to be fun, just like owning a pet rock used to be cool. Halo 2 is almost everyone’s hands down favorite Halo mp game; and for good reason. The jump from the original is exponential. It feels better, it plays better, it looks better, it sounds better, everything is better. Still however, it’s not quite what it used to be. I’m afraid some of us will be disappointed with it. Think of it this way. Remember when you used to go to Chuck E Cheese as a kid? Remember how exciting the arcade was? Remember the massive cage of those weird ball things you jump in? Remember the maze of tubes and tunnels and slides to crawl through? Remember the awesome prizes you could get? Remember that amazing pizza? Remember those creepy yet strangely intriguing giant Chuck E and friends that would walk around and give high fives and hugs? Yeah that was just so awesome right? And yeah, as a kid it kind of was. But what happens when we look at it years later through our adult eyes? We see that the arcades games are outdated and boring. The big cage with balls is gross and full of germs. The tunnels really aren’t as big as we thought they were. The prizes are more worthless than toys you get at the dollar store. The pizza is cheap, nasty, two-dollar, thin-crust pizza you buy in the frozen isle. And those weird strange feelings we got with the giant Chuck E was for good reason because inside is some alcoholic forty-seven year old balding creep in a sweaty costume. While Halo 2 isn’t THAT bad, the analogy stands true. Halo 2 MP is fun and nostalgic, but it’s just not that great anymore. I don’t want to go to Chuck E Cheese. I want to go to amusement parks for my thrills, the bar for my food and fun, and my own couch for real video games. Halo 3’s multiplayer holds up better than the rest. Halo 3 had such huge expectations after Halo 2, so in many eyes it’s just not as good. But if Halo 3 came right after the original Halo and Halo 2 didn’t’ even exist; I’m nearly positive it would be loved just as much as Halo 2. The multiplayer has buttery smooth controls and an extremely balanced approach. It took all that was good about Halo 2 and just made it prettier and better. Some think it’s hypocrisy to say these types of things, but Halo 3’s multiplayer is the best in the series and the Master Chief collection proves this. If Halo 3 came out today it wouldn’t seem that outdated and ancient. Halo 2’s glory days are long gone, even if those glory days were absolutely incredible. Halo 4’s multiplayer isn’t barely worth touching. It’s unbalanced, doesn’t feel like Halo, and just doesn’t hold a candle to Halo 2 and 3. For some, since it’s the newest, it might be good fun. But to most Halo purest they’d rather play real Halo or something else entirely. Sadly the servers for the first couple weeks have been awful. Finding a game can take an extremely long time and if you’d like to party up with a friend and frag it up together, good luck. This is unacceptable and 343 and Microsoft need to fix this ASAP. Graphically the Master Chief collection is an odd game to review. Of course it spans across almost a decade and a half of games so the visuals will be polarizing. Halo Anniversary get’s my worst dressed award. Not because the original game, no that’s allowed to look old and prehistoric, it actually has a charm to it. But the anniversary version falls flat on its face. With just a simple button you can at any time switch from the old school graphics to the new updated anniversary graphics. The anniversary graphics just don’t look that good. Of course compared to the classic game it is much better. However compared to recent games it has flaws. Even when compared to 2007’s Halo 3, the 2011 Anniversary Edition looks pretty much the same. This makes no sense to me, it’s nice that the original can look better, but wouldn’t you want to update it to today’s standards? There are also some very curious artistic decisions. For example there’s one moment in the game when I’m supposed to be in a dessert like area, Cortana even references it. However it looks green and filled with trees. When I switch back to the original game it sure enough looks dry and dessert like. Why did they change the actual layout of the land? Other places like the creepy hallways of the flood look dark and scary in the original. But on the new version, that eerie feel is replaced with bright blue and purple lighting that take the atmosphere right out of the game. I’d almost recommend playing it all in its truly original form. Halo 2 also has an anniversary edition, but it’s done much better. Halo 2 looks nice, the colors and lighting hold true to what they originally looked like, they just look better. There is more detail, more appealing visuals, but not at the cost of the original feel and atmosphere. Meanwhile the remade cut scenes by the CG company BLUR are absolutely astounding. It’s no hyperbole to say that the BLUR cut scenes made for Halo 2 are the best that gaming has ever seen; and even the movie industry should be jealous. I’m sure the internet has already done this, but you could easily just take all the cut scenes into one big video and it has the quality to be a full animated movie. Halo 3 holds up nicely, there are no visual changes, no anniversary edition, but now in 1080p and 60 frames it looks very good. Halo 4 may be the black sheep in every other department, but there’s no denying the game has beautiful art and stunning visuals. And can I just say, the art, graphics, sound design and most importantly music of the Halo series is perhaps one of the most impressive the industry has ever seen. Say what you will about the franchise, but the Halo feel is just oozing out of these games because of truly special direction and execution in all of the art aspects of the series. Bravo Bungie, and 343 too I suppose. 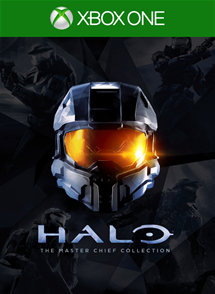 343 set out to make the ultimate Halo and Master Chief experience with: Halo Master Chief Collection. They promised to give the fans all four games wrapped up just like they were made to be with no changes. Then on top of that they promised to also give visual and optional touches. The multiplayer gaming has been the bread and butter of Halo since its start, and 343 promised everything to be there just like we remembered it. Did 343 deliver on that promise? Yes and no. The original campaigns are all there, untouched and perfect. Meanwhile the anniversary updated visuals for Halo 1 and 2 make the game more appealing to the eye if you so desire and the BLUR cut scenes draw the players in to that world like never before. The multiplayer however is broken and needs to be fixed. 343 can’t promise everything how we remembered it, but not even have things playable. Even with the multiplayer hiccup there are still some problems. And this is not really 343’s fault. Instead it’s time’s fault. Just like your favorite pair of shoes, your first car, and your beautiful thick hair; in time your shoes will be worn down, your car will break down, and your hair will turn gray and fall out. Halo just isn’t what I remembered it to be. But it’s okay. Even if when playing these games again I noticed more flaws than ever, it still brought back memories I can never erase. Halo is such an influential franchise to so many gamers. Even if it’s not as excellent playing it this time around, that doesn’t mean it’s not worth giving it a shot again for old time’s sake. The campaign is still good fun and the multiplayer still has epic moments and crazy laughs. Halo 1 does feel outdated in every aspect now sadly, campaign and multiplayer. But playing through the campaign one more time still has just enough fun in it to help carry you through to the REAL fun that is Halo 2 and 3. Halo 4 just doesn’t feel like a good fit in this package and shouldn’t have been included. The story is disconnected from the original trilogy and the multiplayer isn’t fun. It would be like if Lucas Arts packaged Star Wars episodes 4-6 AND 1 all in one package. It just doesn’t work. If for nothing else, Halo: Master Chief Collection is the original trilogy all in one disc, and that trilogy is one of the best in video game history. That alone would be worth it. Throw in the still fun Halo 2 and 3 multiplayer and we’ve got ourselves a really good bundle. The game is worth the admission price for Halo 2 and 3 alone.